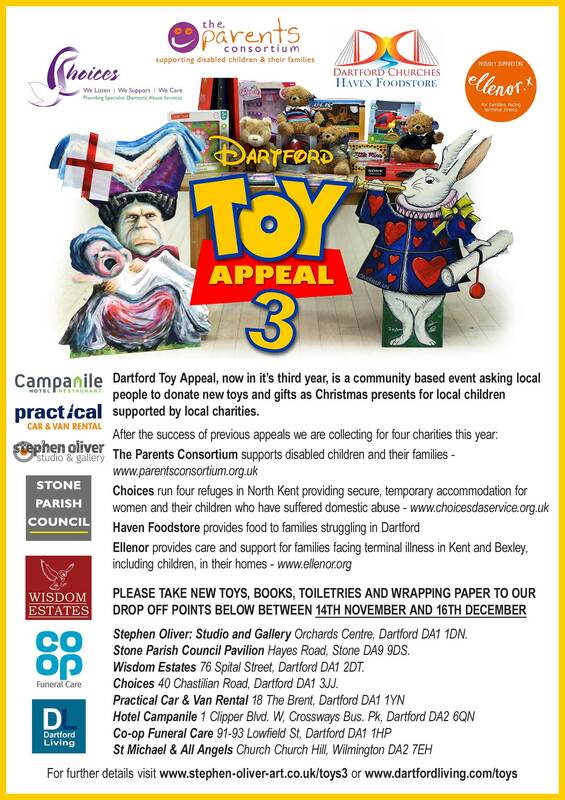 Dartford Toy Appeal, now in it’s third year, is a community based event asking local people to donate new toys and gifts as Christmas presents for local children supported by local charities. Choices was established in 1996 and was originally named Dartford & Gravesham Women’s Aid and then North Kent Women’s Aid before adopting the name of Choices. It exists to provide help to all those who are experiencing domestic abuse. 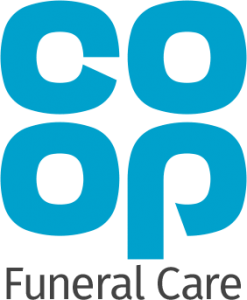 The Parents Consortium is a charity providing services to disabled children, young people and their families living in the Dartford, Gravesham and Swanley areas of Kent. 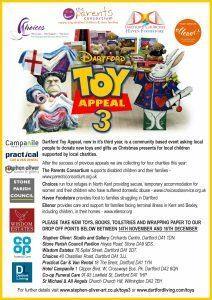 They aim to provide comprehensive support services to families of children with any form of physical, learning or sensory impairment. 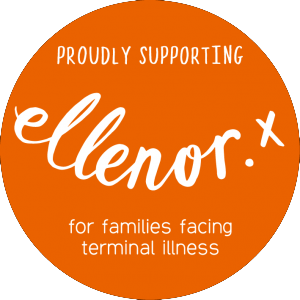 Ellenor provides care and support for families facing terminal illness in Kent and Bexley, including children, in their homes. 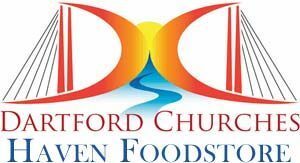 Haven Foodstore provides food to families struggling in Dartford.